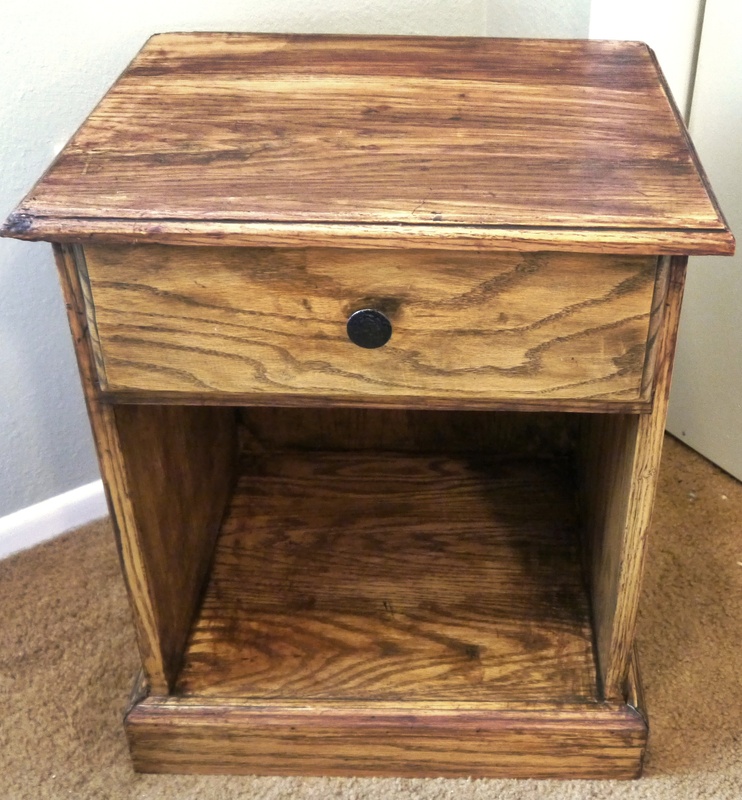 Back when he was in high school, my youngest brother, Paul, made me a beautiful nightstand. He followed that up with an amazing bookcase. That was many years ago and they’ve held up very well. But my nightstand finish was starting to fade and crack. I wanted to freshen it up, but didn’t really have the time or energy to strip it and refinish it. Instead, I paint washed it with two paints – one, a deep brown, the other an espresso color. The technique is very easy – clean, sand a bit, spread on paint and wipe off. Let dry and repeat with the darker color. Often the paint is thinned with water, but when I did that, I wasn’t getting the colors I wanted. I completed the project with a finishing oil. I think it turned out nice.